My first instinct is that I don't like it ! It looks like a mini but it looses the mini part that makes a mini a mini. But there is more to like and for those who adore the mini but must look elsewhere because they need the space then this has to be on the menu. It's not cheap when you start to add on the options though sat nav does come as standard you can upgrade to get the wider screen version which looks amazing in the roundel. It looks very similar to the BMW entertainment system as you would expect being from BMW. 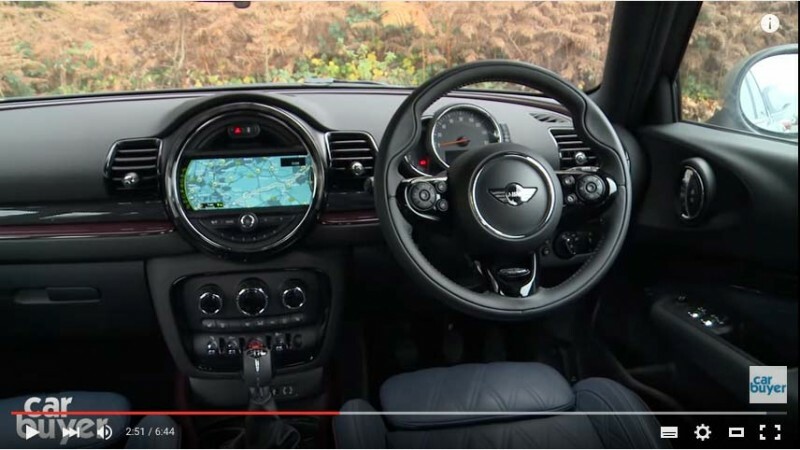 What is nice is the interior and style - you will really feel part of something special driving the mini clubman, with space in the back to rival any hatchback its a very practical car too. What you might not know is that the Mini is actually built in Oxford.